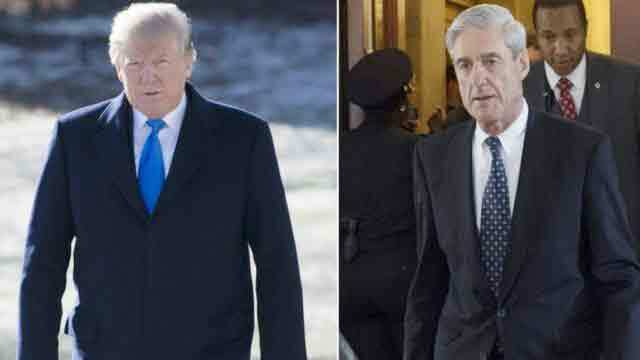 Washington, Jan 26 (Just News): The US President Donald Trump has described as "fake news" a report that he ordered the firing of special counsel Robert Mueller last June, but backed down when his own lawyer threatened to resign. White House counsel Donald McGahn said the sacking would have a "catastrophic effect" on the presidency, the New York Times reported. Mr Mueller is leading an inquiry into possible Trump campaign collusion with Russia to influence the US election. Both Moscow and Mr Trump deny this. "Fake News. Typical New York Times. Fake Stories," Mr Trump said at the World Economic Forum in the Swiss town of Davos, where he is due to give a speech later. Mr Mueller, a former FBI director, was appointed special counsel last May to look into the collusion allegations. His appointment came after Mr Trump had fired FBI director James Comey, saying in an interview it was because of "this Russia thing". Mr Mueller is also looking into whether that represented an obstruction of justice. A lawyer specialising in campaign finance, he has been described by the New York Times as having a "bare knuckle style" and a "personality to match Mr Trump's". He is also a guitarist in a rock band. Mr McGahn spent years working to loosen restrictions on campaign donations and served on the Federal Election Commission (FEC) before joining Mr Trump's campaign. Democrats on the body accused him of undermining the FEC's enforcement activities. During the campaign, Mr McGahn fought a series of legal battles, including defeating a bid to keep Mr Trump off the New Hampshire ballot on procedural grounds. Special Counsel Mueller learned of his near-dismissal in recent months, while his team interviewed past and present White House officials, the New York Times reports. As speculation mounted that Mr Mueller could be building an obstruction case against the president, Mr Trump allegedly argued that the special counsel had three conflicts of interest that should stop him heading the inquiry. The White House cited four unnamed sources. A later story in the Washington Post cited two people familiar with the episode. Hints have continued in US media, including this December, that the president might fire the special counsel. His opponents in the Democratic party would see any such move as a bid to stifle justice, and it could trigger an effort to impeach Mr Trump. However, Mr Trump in December denied that he was planning to fire Mr Mueller. In response to the latest reports, Senator Mark Warner, the Democratic vice-chairman of the Senate intelligence committee, warned that "firing the special counsel is a red line that the president cannot cross". "Any attempt to remove the special counsel, pardon key witnesses or otherwise interfere in the investigation would be a gross abuse of power," he said. Mr Trump said on Wednesday that he was willing to be questioned under oath by the Mueller inquiry.